It looks like Big Finish must’ve taken a peek at my birthday wish list, because this was the very first thing I saw when I woke up this morning. Big Finish have announced the upcoming release of twelve—read that again, TWELVE—full-cast audio plays featuring Sir John Hurt as the War Doctor! This epic story will be told in four boxsets, the first of which is entitled Only the Monstrous. It’s written and directed by the great Nicholas Briggs and will be released this December. The second volume, Infernal Devices (written by John Dorney, Phil Mulryne and Matt Fitton) will follow in February 2016. 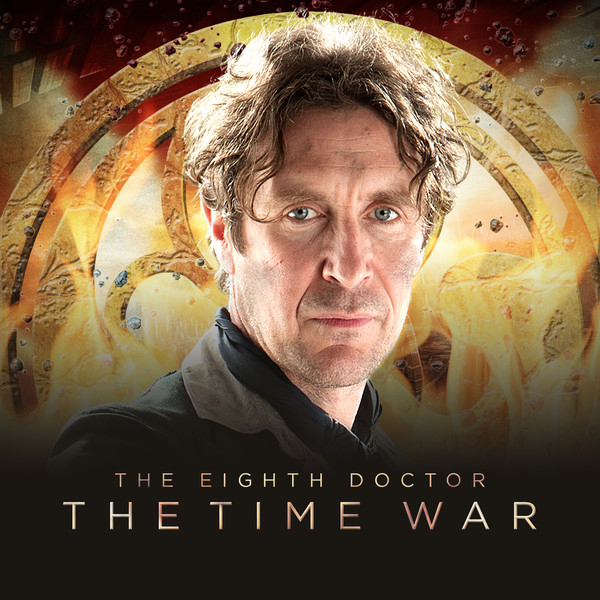 And as if all that goodness wasn’t enough, November 2017 (yes, I know that’s two whole years away) will see the release of a prequel to the War Doctor’s stories in Doctor Who: The Eighth Doctor — The Time War. It will follow Paul McGann’s Eighth Doctor in the early days of the Time War. I don’t know about you, but these are stories I’ve been anxious to get my hands on, so I am a very happy bunny today. The Doctor is always on my birthday wish list. All of these stories are available for pre-order on the Big Finish website.